Jack Zhou Director of Bigpoint Berlin Studio. Jack has been working in the game industry for over 10 years. 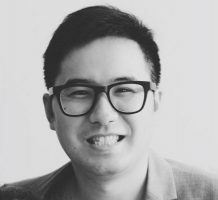 Before joining Bigpoint, Jack was a senior producer of Yoozoo games, which is one of the top leading game development and publishing company in China. As a Chinese who works in Europe, Jack has a deep insight of both east and west gaming market. Now he is leading a mobile project for the global market, which will be released within this year.